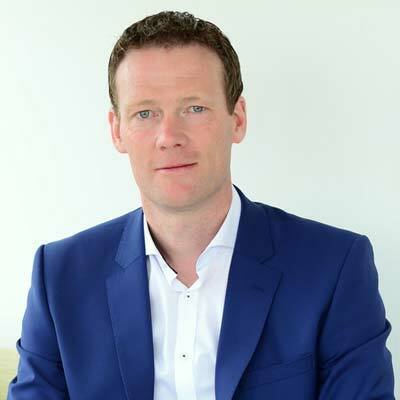 John Cormican is the General Manager of Jaguar Land Rover Ireland Vehicle Engineering, which he co-founded in May 2017. Based in Shannon, John and his team play an important role in realising the company’s vision for Autonomous, Connected, Electrified vehicles and Shared Mobility services. Having started his career as a Software Engineer in Piercom and Tellabs, John moved to Intel where he held a number of roles over a 15 year period. Prior to his role with Jaguar Land Rover, John was a Senior Business Development Manager at Intel for over ten years and was responsible for automotive business development strategy in EMEA. John is a graduate of University of Limerick and obtained a BSc in Applied Mathematics and Computer Engineering in 1998. Jaguar Land Rover is to the forefront of shaping the future of mobility in the age of electric and autonomous vehicles. Our Shannon operations will develop new technologies to support electrification and self-driving features on future JLR vehicles and will be an engineering hub focusing primarily on software development to deliver features and products for Automated Driving, Connectivity, Electrification and Shared Mobility Services.